The Unremembered Trilogy MASTER Playlist! Before I wrote this trilogy, I’d never been much of a book playlist type of writer. When I heard about authors putting together playlists for their books, I kind of dismissed the thought because I’m the kind of writer who can’t write to music. I have to have total silence, or some kind of white noise in my ears. Anything with a rhythm or melody or lyrics just pulls my focus away. 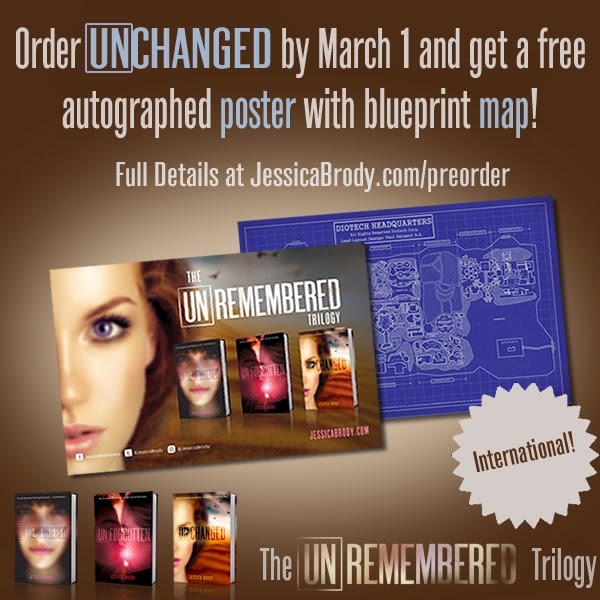 It wasn’t until I started writing Unremembered, the first in the trilogy, that I realized something. You don’t have to write to music to have a book playlist. You just have to like music. And since I do (like music, that is), I decided to start one. I had so much fun collecting all the songs that made me think of Sera and Zen, that I kept the tradition alive and created playlists for book 2, Unforgotten, book 3, Unchanged, and even the two novellas, Undiscovered and Unleashed. In Unchanged, Sera and Zen have been separated and Sera has gone through an experimental new memory procedure that has warped her memories of Zen. Yet, whenever she thinks of him, she still feels this strange pull toward him. She tries to fight it (because she thinks she should) but despite her efforts, it never quite goes away. I think this song perfectly captures the torture that Sera is going through as she struggles with what her heart wants and what her mental programming tells her to do. Undiscovered is the story of Zen finding Sera on the Diotech compound for the first time and falling in love with her. When he first sees her, he’s simply mesmerized by her. He can’t get enough of her. I love the way Alanis plays on the term Wunderkind in this song. It typically means someone with great skill or accomplishment (which Seraphina certainly is!) but Alannis kind of twists the term into someone who wonders and is destined to wander, which is also very much Seraphina! Sera’s eyes are opened when Zen comes into her life. And he teaches her so many new things. There’s a line in this song, “First to take this foot to virgin snow.” That’s what Zen is for Sera. He shows her the world when everyone else is trying to hide it from her. Oh man, I love this song so much. This song got me through some really dark times in the writing of Unforgotten. I was so stuck in the middle of this book, I had no idea where it was going or how it was going to get there…wherever there was! This song saved me. This song first released when I was about halfway through the manuscript and it just spoke to me. It so captured Sera’s relationship with Kaelen, the other “ExGen” (or genetically enhanced human) that Diotech created. For reasons not disclosed until the end of book 2, Sera feels a dangerous attraction toward Kaelen. Almost as if it’s out of her control. This song captures that helplessness so perfectly. I listened to it on repeat for five days straight until I figured out how to fix the book. When Seraphina first wakes up in the plane crash wreckage at the start of Unremembered, she opens her eyes to an unfamiliar world. Her memories have all been erased, she doesn’t know who she is, where she is, or what happened to her. She can barely even identify everyday objects like TVs and computers. Although there are some darker elements to her predicament, the playful, whimsical quality of this song I think really captures the more humorous undertones of Seraphina struggling to make sense of our world. This song came on my shuffle when I was on an airplane. I was in the middle of writing Unchanged at the time and I’d downloaded the song after seeing a dance choreographed to this on So You Think You Can Dance. I started crying right there in my window seat. I don’t want to reveal too much about Unchanged since it’s just coming out, but this song so perfectly captures a very specific scene toward the end. Chapter 56 specifically. I sat on that flight with the song on repeat, balling my eyes out and scribbling furious notes in my notebook. Many of those notes made it into the final version of the book. Oh, Kaelen. I had such a love/hate relationship with him in the writing of this trilogy. Despite how much I love Sera and Zen (and I do! So much!) I actually think Kaelen is the most complex character of the trilogy. He’s so torn between the way he feels for Sera and the loyalty he feels to Diotech and Dr. Alixter. When I wrote Unleashed from Kaelen’s perspective, I really got to know him better as a character. He’s so strong. And yet his worry that he might let Dr. Alixter down is constantly weakening him. And when he meets Sera for the first time, well there’s no better word for their encounter than, “Collision.” That’s why this song fits so well. Book 3’s alternate title could very possibly be “Conflicted.” Because of Sera’s memory alteration at the start of Unchanged, she’s so very conflicted about so many things. She’s constantly trying to hold onto some things and let go of others. And oftentimes, they’re the exact same thing. This song was definitely at the top my playlist for the third and final book. I felt like it was written just for Seraphina! Obviously this song is a last-minute addition to the trilogy playlist as it just released a few months ago but as soon as I heard it I thought, “OMG! It’s Sera and Zen!” S+Z are constantly on the run from Diotech and constantly trying to outsmart them, searching for places they won’t be found. Heck, they travel all the way to the year 1609 just trying to escape. This song about being tracked like foxes by hunters is the perfect theme song for this trilogy. After returning to the Diotech compound and undergoing an experimental new memory alteration, Seraphina is now a loyal, obedient servant to Dr. Alixter and the powerful company that created her. Happy and in love with Kaelen, another scientifically-enhanced human designed to be her perfect match, Sera’s history with a boy named Zen is just a distant memory from a rebellious past she longs to forget. But as Sera and Kaelen embark on a nationwide tour to promote Diotech’s new product line—a collection of controversial genetic modifications available to the public—Sera’s mind starts to rebel. She can’t stop the memories of Zen from creeping back in. As more secrets are revealed, more enemies are uncovered, and the reality of a Diotech-controlled world grows closer every day, Sera will have to choose where her true loyalties lie, but it’s a choice that may cost her everything she’s ever loved. 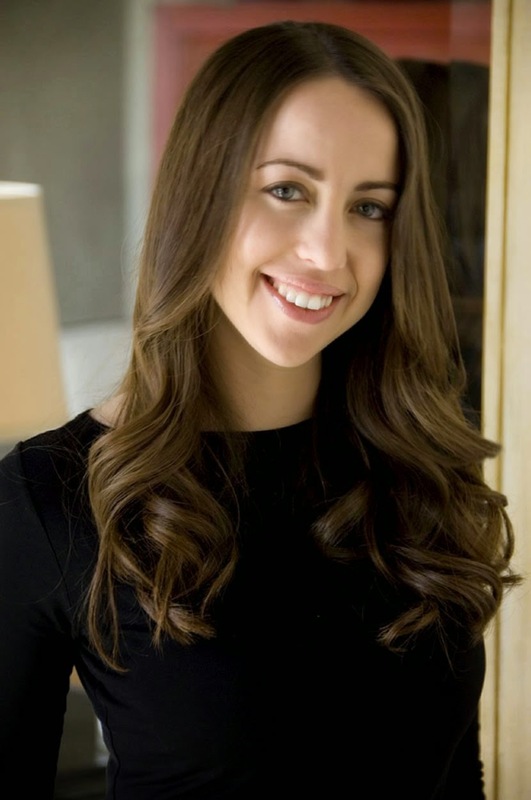 Jessica Brody knew from a young age that she wanted to be a writer. She started self "publishing" her own books when she was seven years old, binding the pages together with cardboard, wallpaper samples and electrical tape. Twitter. Website. Facebook. Goodreads. Tumblr. Instagram. Unremembered. Unforgotten. Unchanged. Undiscovered. Unleashed. Official Facebook Page. It's open to people in the US only. Book will be shipped from publisher. Must respond to my email within 48 hours. 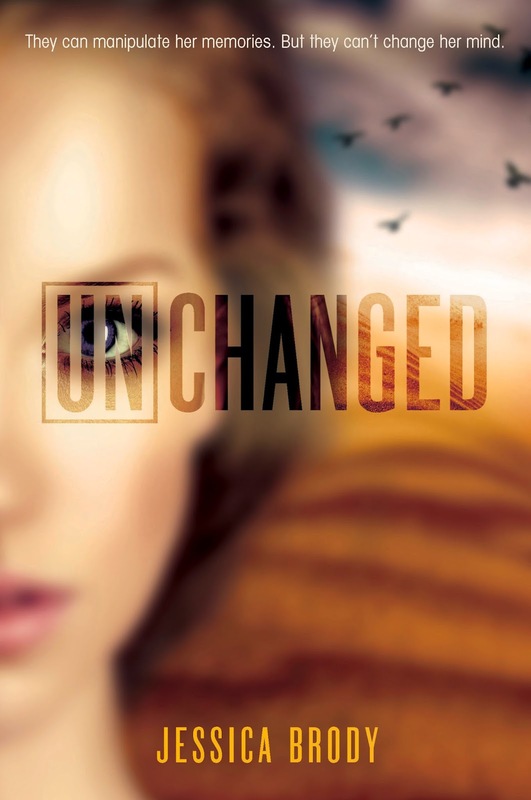 You can win: One hardcover of Unchanged. autographed trilogy poster. Visit Jessica’s website here for more information! I haven't heard much about the book series, but I do like several of the songs on the the master playlist. I think I might enjoy it. Though I have never judge a book by its playlist before. Fantastic collection of songs! I've only read Unremembered so far, but I own all the books and I hope to finish the series! Great post and thank you for sharing sweetie!! I haven't started this series yet, but hopefully I will soon because it sounds awesome. If you're looking for a solid contextual ad company, I recommend you check out Clicksor.